All Okinawa Eisa Festival, a colorful display of Okinawa's traditional spirit will take place this weekend at Okinawa Athletic Park right across from Okinawa Expressway Okinawa South Entrance. The annual event attracts thousands of spectators to experience what Okinawa's beat really is, and at the same time, to have a few cold suds at Orion Beer Festival that runs concurrently at the Park's Baseball Field. Read More! 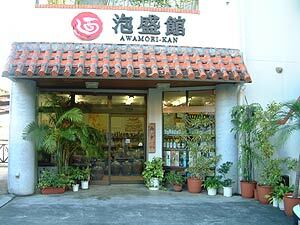 For centuries, Awamori, a local Okinawan liquor distilled from rice, has retained its place as the liquor most favored by Okinawans for all occasions. You’ll find it everywhere, from restaurants to izakayas, bars to clubs, and even in many Okinawan homes. Read More! This September, Fad Tech Sales and Services celebrates its 5th year in business. The company specializes in Internet services, satellite TV, cell phones, pagers, computer repairs and international calls. Read More! Sunday, Sep. 15 is the date every K-1 and extreme fighting fans should mark into their calendars, as that’s the day when King of Fights VIII event rolls into the ring in the Chatan Dome. Read More! Okislam Volleyball is a community experience that’s been going on for five years now and the group is still hanging around. It consists of 14 to 20 players of all levels, including high school and college students, businessmen and women, and people from all walks of life. Read More!